DogWatch of Western MA is part of an international network of dealers offering the safe and effective DogWatch® hidden dog fence. We offer fence installation that is committed to the safety and happiness of your dog. Our hidden dog fence technicians are professionally trained to be knowledgeable about all dog breeds. DogWatch of Western MA will meet with you to learn about your pet’s specific needs and daily routine to recommend the system that’s right for both of you. 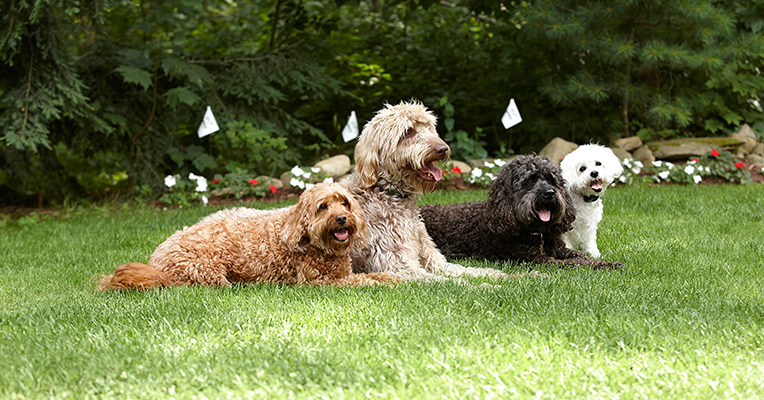 If you have more than one dog, our receivers can be easily programmed specifically for each pet. DogWatch hidden dog fence installation is safe and effective for all dogs, whether they are young, senior, shy or energetic. If you move, you can bring this hidden dog fencing system with you. A few minutes of refresher flag-training and your dog will quickly know his new boundaries. "My clients and I both know how wonderful a DogWatch Hidden Fence has been for ourselves and our pets. But what has been truly satisfying is the professionalism of the DogWatch representatives. They have been prompt in answering any questions or concerns regarding the system, and have presented a very caring attitude. The customer service and peace of mind have far exceeded my expectations."